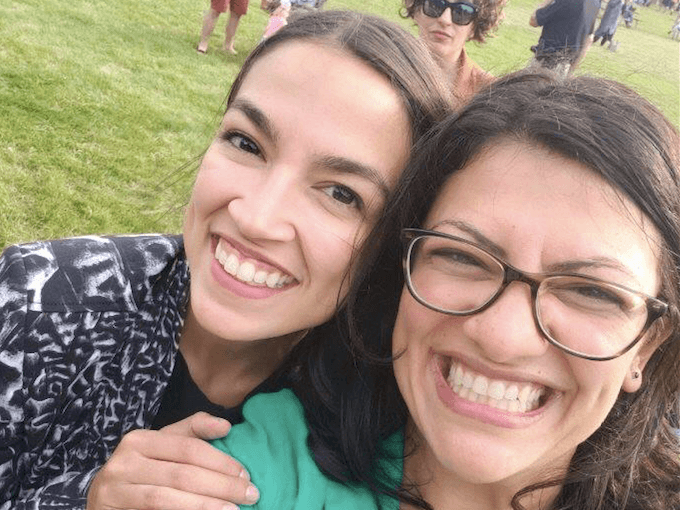 Reps. Alexandria Ocasio-Cortez (D-NY) and Rashida Tlaib (D-MI) were dealt blows this week after failing to secure seats on powerful House committees despite a push from progressive groups. Rep. Tom Suozzi (D-NY), a former lawyer and accountant in his second term, clinched a seat on the powerful House Ways and Means Committee Wednesday, beating out Ocasio-Cortez, 29, who vowed to promote a “Green New Deal” and “Medicare for All,'”if given a seat on the influential panel. The development is the second defeat for Ocasio-Cortez, whose tenure as a member of Congress is just one-week-old. Last week, Ocasio-Cortez joined House Reps. Tulsi Gabbard (D-HI) and Ro Khanna (D-CA) in voting against the rules package, including the “pay-go” provision. The rule, designed to prevent the deficit from increasing, encourages Congress to offset the cost of legislation that increases spending on entitlement programs. Supported by House Speaker Nancy Pelosi (D-CA), the rules package passed 234-197. Ocasio-Cortez’s candidacy was supported by left-wing organizations, including the Democratic Socialists of America and the Progressive Change Campaign Committee, as part of a campaign to install progressive lawmakers in influential committees to reign in corporate influence.